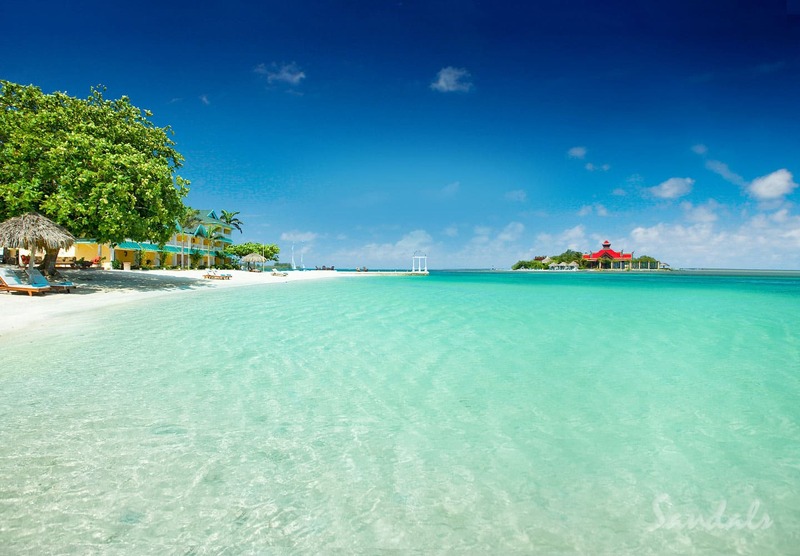 As Jamaica’s most alluring retreat, the Sandals Royal Caribbean resort takes you to opposite sides of the world. From its regal British Manor — and mannerisms — to the mysterious Orient on a private offshore island minutes from the resort, you get to experience the best of both worlds. Set along a pristine ribbon of beach in Montego Bay, the resort’s elegant British accent begins with a proper arrival through a grand port cochere. Continue on to a noble Georgian-style Great House surrounded by tropical gardens. This is where the highbrow side of you will enjoy continental breakfast in bed and afternoon tea. High tea to exotic Thai in old world Jamaica … the Sandals Royal Caribbean luxury resort gives you several exotic vacation packages for the price of one. No, you don’t have to travel all the way to the South Pacific for a luxurious stay in the region’s famed over-the-water bungalows. 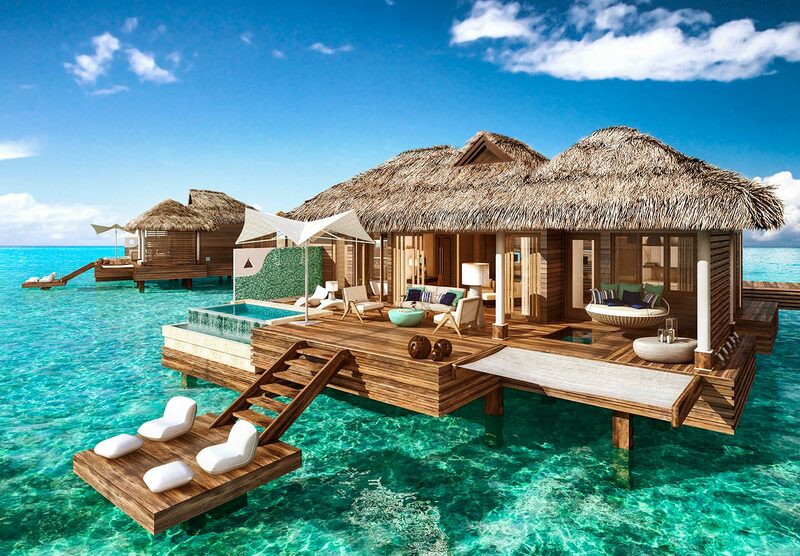 Sandals resorts has introduced its own chic version right here at Sandals Royal Caribbean in Montego Bay! See-through glass floors, beautifully tiled soaking tubs, an over-the-water hammock for two, and Sandals’s signature butler service all add up to one unforgettable vacation. 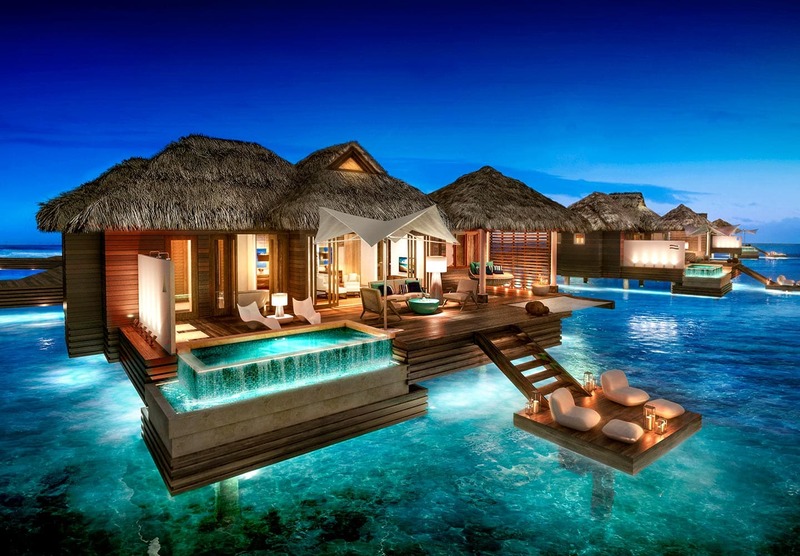 These splurge-worthy over-the-water villas will surprise and delight you. Choose them for your next extra special escape, like your honeymoon or anniversary vacation. Minutes away from the mainland, an authentic dragon boat will shanghai you to a private offshore island hosting endless exotic adventures. Indulge in both poolside and beachside pleasures by day and chic parties and bonfires at night. Plus, you can take a seat at an authentic Thai restaurant serving up delicious delicacies. 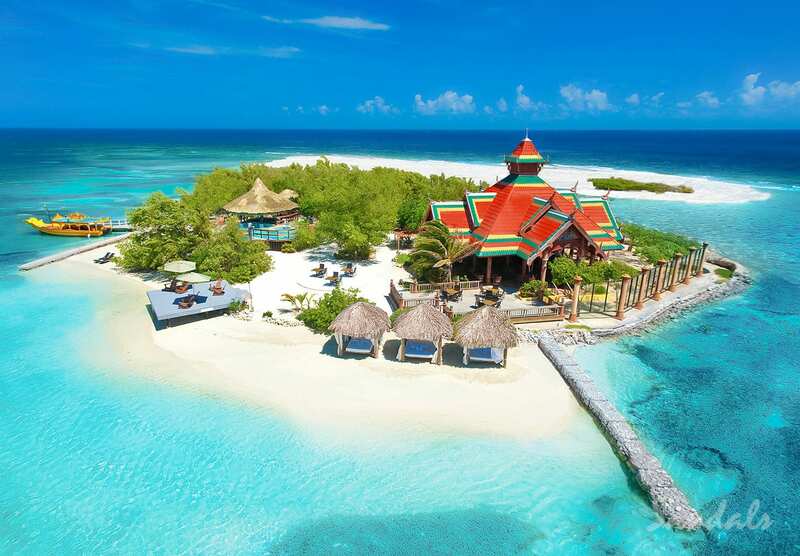 And don’t forget to try relaxing spa services from Red Lane Spa on this gorgeous private island at the Sandals Royal Caribbean luxury resort! In addition to the two dining experiences you’ll find on the private island, six more restaurants await you on shore. 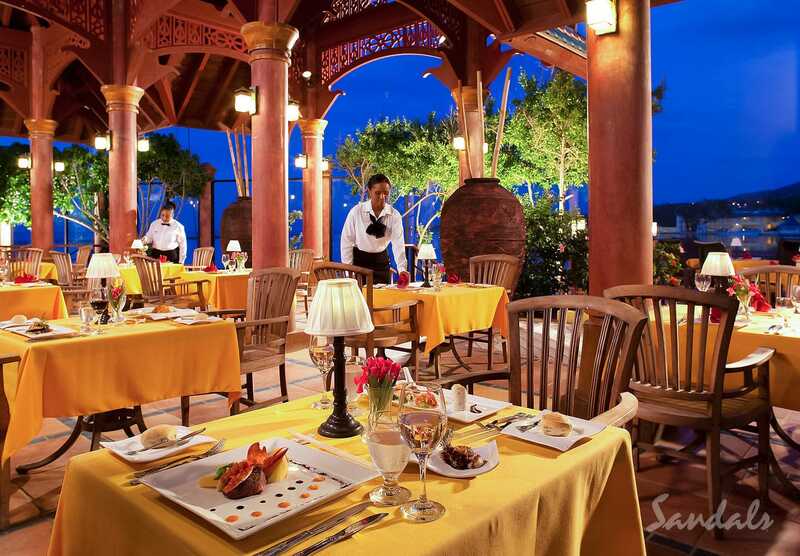 French, British, Thai, and traditional island flavors mean you’ll never get bored eating out at Sandals Royal Caribbean. And, of course, take a break from the sun for a spot of afternoon tea in a breathtaking manor house! It means you get to explore two other fabulous nearby Sandals properties — at no extra charge! Check out the additional restaurants, pools, bars, and beaches at Sandals Montego Bay and the Sandals Inn. Did we mention that transportation between resorts is also included? Jamaica is home to some of the most beautiful shorelines in the world. Break out of your routine and explore them from a different perspective — underwater! A major perk, you can scuba dive to your heart’s content at Sandals. If you’ve never done it before, no worries. 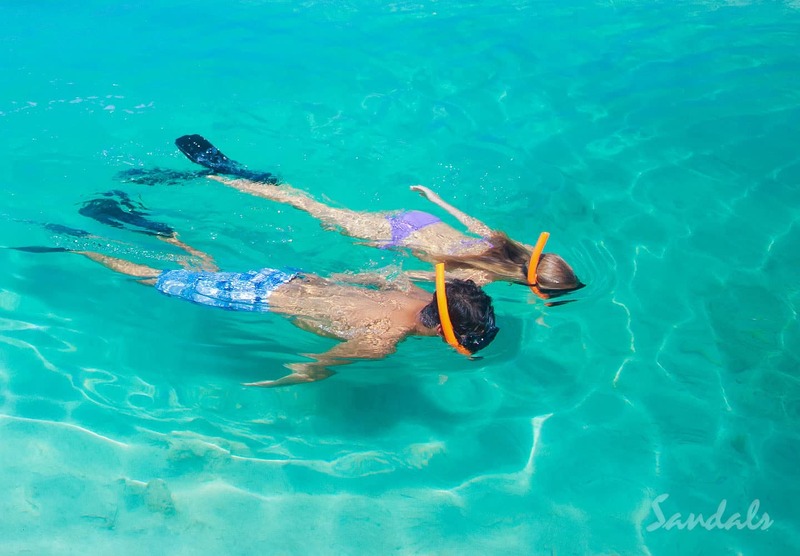 You can earn a temporary certification at the Sandals Royal Caribbean luxury resort and start exploring the clear blue waters the same day. 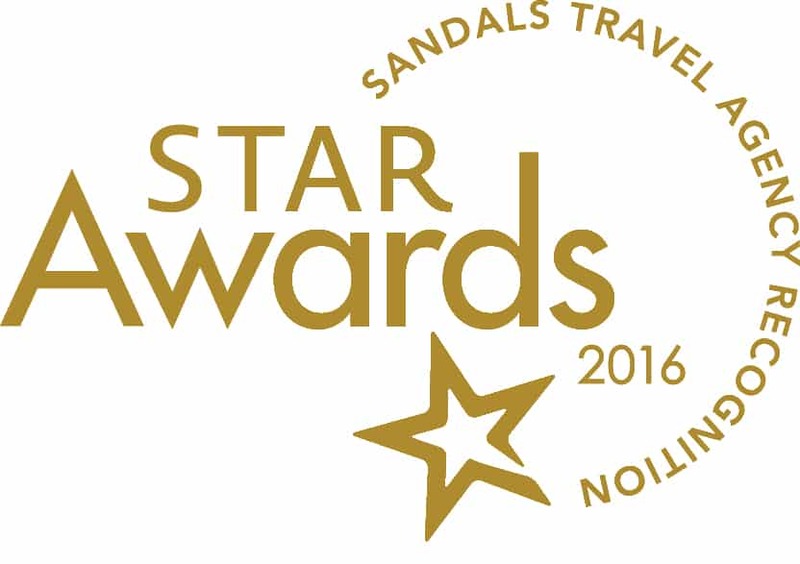 Get a Big Step Closer to Your Dream Sandals Royal Caribbean Vacation! Whether it’s high tea served in a manor house, swimming up to your own suite in the unique Swim-Up Suites … or experiencing high adventure on a private offshore island with endless resort amenities, here Regal Britain meets the Mysterious Orient at this alluring Jamaican retreat. 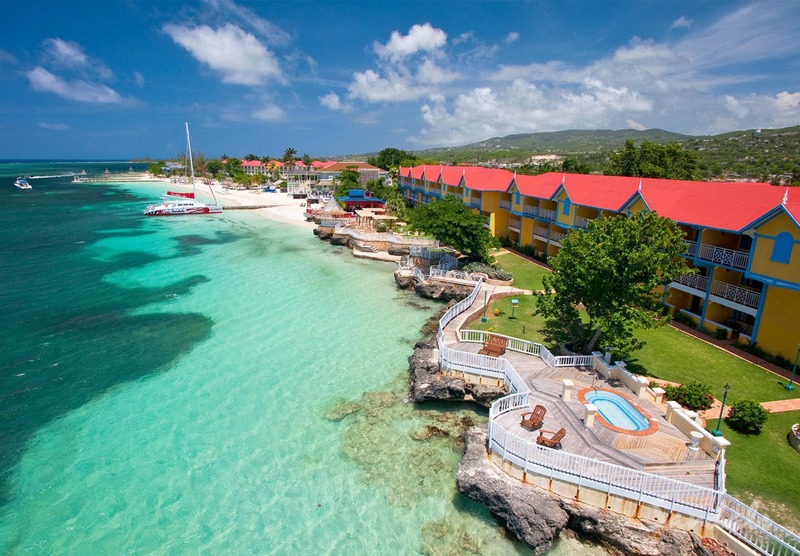 Check out our Sandals vacation specials! Ready to start planning the romantic escape to Sandals Royal Caribbean that you’ve always dreamed of? Our Southern Travel Agency team and online experts can’t wait to help! 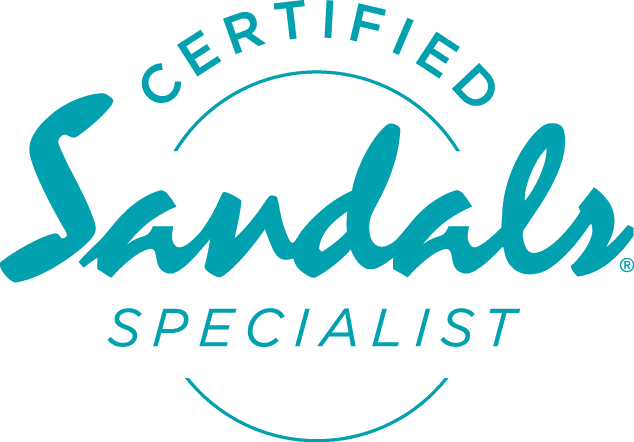 Get in touch and let our certified Sandals specialists help you to build your own Sandals dream vacation! Build Your Own Sandals Dream Resort Vacation Today!